The trouble started when Pope Gregory XI died in 1378. One year earlier, he had returned the papacy to Rome after 68 years of “Babylonian captivity” in Avignon, France. The shift made Italians happy but enraged the French, putting the cardinals charged with choosing Gregory’s successor in a very tight spot. So the church’s problems were obvious. The solution proved elusive. Because the papacy had been based in France for so long, by 1378 a disproportionate number of French cardinals had been created. Their inclination toward another French pope was stifled, however, by the rioting crowd outside the conclave in Rome. The cardinals took a quick vote and elected an Italian who took the name Urban VI. Then they ran for their lives. Urban VI turned out to be impetuous and despotic, and the cardinals who had elected him promptly repented of their choice—especially after Urban turned on them. He told one cardinal to “shut up his ceaseless chatter.” He called another a “blockhead” and humiliated him in front of his colleagues. 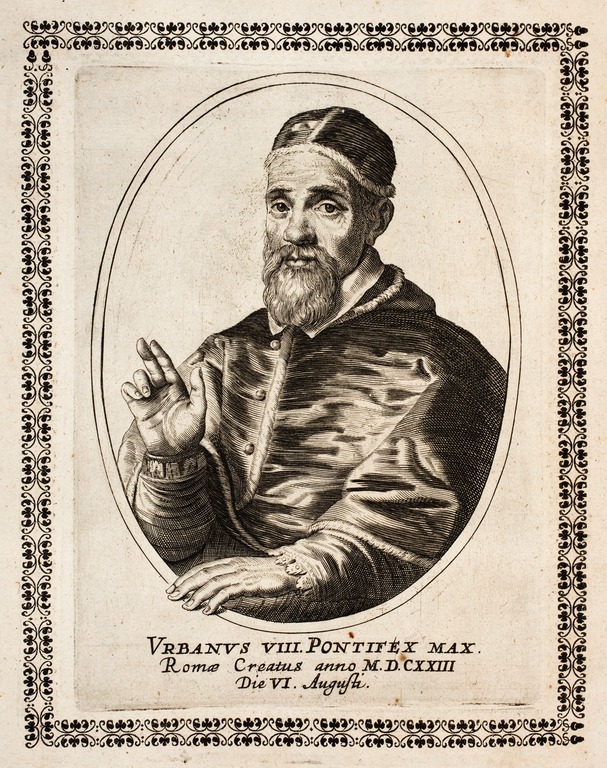 Angry and bitter, the French cardinals called another conclave and elected a second pope (or, according to Roman Catholics, an anti-pope), Clement VII, saying that Urban’s election had been forced by the Roman mob. Clement, Swiss by birth, moved his court back to Avignon. Catholic nations split over which pope to obey. Half the church now accused the other half of being heretical, blasphemous, and excommunicate. 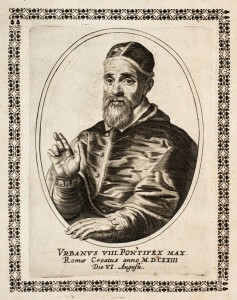 Catherine of Siena, who had been influential in bringing the papacy back to Rome, denounced Clement as “Judas Iscariot.” Vincent Ferrer, a prominent Dominican preacher in France, applied the same slur to Urban. Both sides claimed that the sacraments ministered by the priests of the opposite party were invalid— the children who had been baptized were not really baptized, those who had been forgiven their sins were not forgiven, the dying who had received final rites had died unpardoned. And matrimony pronounced by the wrong priest meant that those who thought they were married were actually living in sin. Hatred and suspicion rose to such a pitch that when seven of Urban’s newly appointed cardinals came to him in 1385 asking him to step down, he had them arrested, tortured, and killed. When Urban finally died in 1389, Clement anticipated a triumphal return to Rome. Instead, the 14 cardinals who had survived in Urban’s camp elected one of their number to be the new Roman pope, Boniface IX, and the division continued. Clement VII died suddenly in 1394, and instead of accepting Boniface, the predominately French cardinals elected a Spaniard, Benedict XIII, to be the new pope in Avignon. King Charles V of France proposed that both popes should resign and a new one be elected, but Benedict would not resign unless Boniface promised to do so as well. 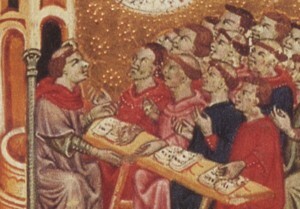 After Boniface died in 1404, the Roman cardinals elected Innocent VII. A revolt broke out, led by prominent Italian families, and Innocent fled to another town. The Roman mob, looking for the pope, sacked the Vatican in 1405, threw the papal registers and historic papers into the streets, stole all the money and gold they could find, and rioted for days. After the mob cooled down and sobered up, they made their peace with the pope, asking him to come back and forgive them. Innocent returned, then died a short time later. 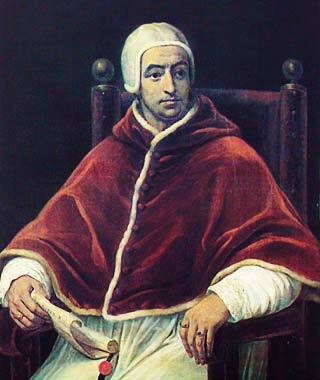 Innocent was succeeded in Rome by Gregory XII, who invited Benedict to a conference. Benedict offered to resign if Gregory would, but Gregory’s relatives dissuaded him. With no end to the schism in sight, some cardinals withdrew to Pisa and called for a general council to elect a pope acceptable to all of Western Christendom and depose the other two. The 1409 Council of Pisa was impressive. In a majestic cathedral, 26 cardinals, 4 patriarchs, 12 archbishops, 80 bishops, 87 abbots, the generals of all the monastic orders, 300 professors of canon law, and ambassadors from many governments all appeared. The council declared itself canonical and ecumenical—representing the whole Christian world (minus the Orthodox church). Then it elected Alexander V as the new pope, told him to call another council before 1412, and directed his rivals to resign. Of course, neither of the existing popes submitted to the council’s authority. The church now had three popes: Alexander V in Pisa, Gregory XII in Rome, and Benedict XIII, who had no supporters (the French cardinals had defected to Gregory) and had fled to Spain. None acknowledged the others. Just one year after his election, Alexander V died. Rumors circulated that Balthasar Cossa, who succeeded Alexander as Pope John XXIII, had him poisoned. Such treachery would hardly be out of character. John, who began his pontificate in Bologna (the king of Naples had seized Rome), presided over that city like the pirate he had once been. He taxed everything, including prostitution, gambling, and usury. According to his secretary, he seduced 200 virgins, matrons, widows, and nuns. He also commanded a private army. John delayed as long as he could in calling the required council, but he was ordered to do so in 1411 by Hungary’s King Sigismund. Sigismund chose Constance, Germany, and set the date for 1414. 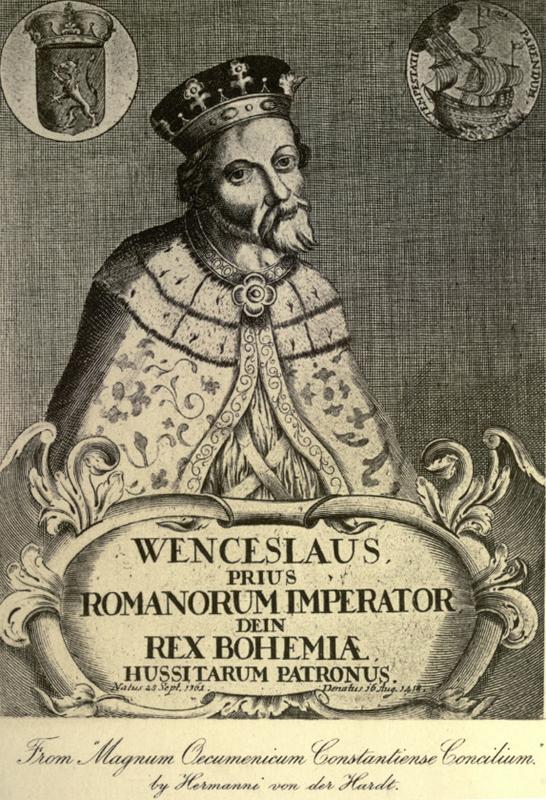 Sigismund invited all the prelates, princes, lords, and doctors in the West to attend. Everybody responded except the three popes. So many dignitaries came at their own leisure that six months went by before the assembly could begin. When they all arrived, the clergy and their attendants numbered 18,000—the largest and most complete council since the Council of Nicea in 325. Constance, normally a small city, was turned into a huge armed camp. Five thousand attended the council itself, while 1,500 prostitutes offered their services after hours. The council had hardly begun when it lost the support of the pope who had convened it. John was shocked to learn that his enemies were preparing to present a record of his crimes to the assembly. A committee of cardinals advised him to resign. He agreed, read a formal resignation, and fled, disguised as a laborer. Fearing a repeat of Pisa, the council declared, “If anyone … including also the pope, shall refuse to obey the commands, statutes, and ordinances of this holy council … he shall be subject to proper punishment.” The council then sent a committee to find John and ensure his abdication. The committee got no answer from John, so 54 charges were presented against him, the least of which were that he was a pagan, an oppressor, a liar, a buyer of church office, a traitor, a lecher, and a thief. Sixteen other accusations were suppressed for being too severe. On May 29, 1415, the council deposed John, leaving him no claim to Peter’s throne. Broken by the charges, John accepted the decree and was imprisoned for three years. The council celebrated its triumph with a parade through the city of Constance. Then it ordered Benedict and Gregory to resign. Gregory volunteered, on condition he first would be allowed to reconvene the council by his own papal authority. The council assented, and after reconvening, it declared him a valid pope and named him a governor of Ancona in Italy (to give him something official to do for the remaining two years of his life). Benedict still refused to resign, but since his cardinals had deserted him, he was deposed in 1417. He retired to Spain and died there at age 90, protesting to the end that he was the true pope. In October, the council decreed that another general council should be convened within five years to elect a replacement pope. On November 17, 1417, an electoral committee chose Martin V. All of Western Christendom accepted him, and so after 39 years of chaos, the Great Schism came to an end. Though the council achieved this victory, it utterly failed in its other purpose: to reform the church. 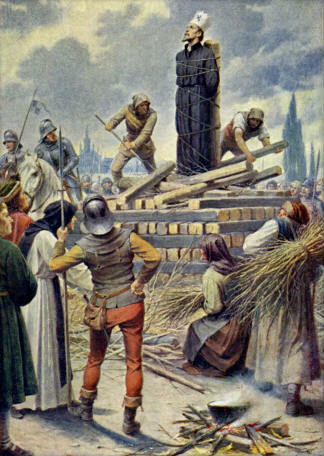 It sent Jan Hus and Jerome of Prague to the stake, delaying widespread reformation for 100 years. It also allowed Martin to play politics and make sure that only minimal reforms, written in obscure language, could be passed. Peter E. Prosser is professor of Christian History at Regent University (Virginia) Divinity School. Hus shared ideas with Wyclif and Luther, yet they were not all of one mind. 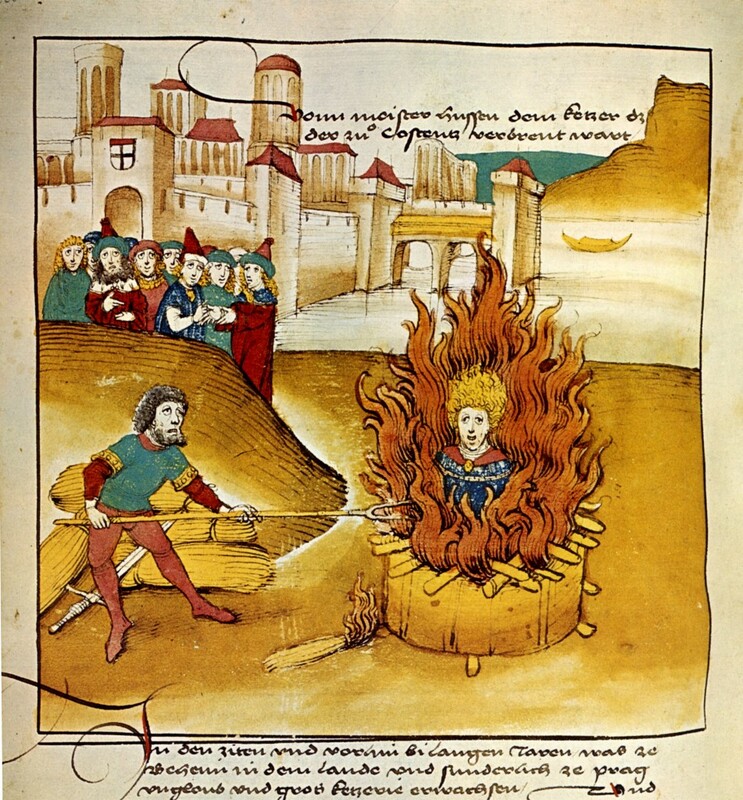 Jan Hus has always been difficult to place precisely in the history of Christian thought. Does he belong to the Middle Ages or to early modern times? Is he a representative of medieval heretical dissent or a precursor of Martin Luther, John Calvin, and the sixteenth-century Reformation? Was he merely a local leader of a Czech movement or a figure of wider European significance? Recent scholars have protested the earlier tendency to depict Hus as a mere echo of English reformer John Wyclif (whose writings he knew and quoted) or a simple forerunner of Luther. These cautions are well taken. Furthermore, unlike many other reformers, Hus retained much of Catholic theology. He did not teach the doctrine of justification by faith alone, a fact Luther noted when he observed that, unlike himself, Hus had attacked only the life, not the doctrine, of late medieval Catholicism. 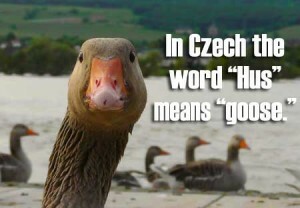 Hus’s work was deeply rooted in the Czech reform movement that was already well under way when Hus was born in 1372. The religious awakening in Bohemia was related to the emergence of the Czech language and the revival of national identity led by Charles IV, king and emperor, who ruled in Bohemia from 1333 to 1378. Charles wanted his capital, Prague, to be a great political and cultural center, and in 1348 he established there a university modeled on those at Paris and Oxford. The exchange of ideas that flourished at Charles University profoundly affected Hus and others of his era. Bible in the Czech language. Scholars have discovered more than 50 manuscripts of the Bible in Czech, all in circulation before the invention of the printing press. 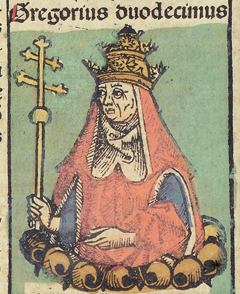 Another key figure in the early Czech reform movement was Jan Milíč from Kroměířž (1325-1375). Like Hus, Milíč was both a scholar and a preacher: he broke through the language barrier by preaching in Latin for the university audience, in German for Prague’s upper classes, and in Czech for the workers and common people. He called for personal conversion, but he also emphasized the practical and ethical consequences of following Christ. In Prague, Milíč established a house he called “New Jerusalem.” It was a haven for prostitutes, one of the most despised and marginal groups in medieval society. The name was taken from the Book of Revelation and indicates the strong eschatological character of the Czech reform movement. One of the ironies of church history is that frequently those who have the most acute sense of the future reign of God—of living in the “last days”—are precisely those who invest themselves with purpose and energy in changing things here and now. Hus too brought together the sense of living at the edge of history (for example, the Antichrist was one of his major themes) with an earnest hope for the renewal of church and society. Milíč is called “the Father of the Czech Reformation,” but he was not able to carry forward the reforms he had begun. He died in Avignon while defending his cause before his accusers at the papal court. But in 1391 some of his disciples established Bethlehem Chapel, a public center in Prague for preaching and worship where Hus was appointed chaplain in 1402. From the pulpit in Bethlehem Chapel, Hus preached with great power and persuasion to a large number of followers. At the same time, he emerged as a leader in the university, serving terms as both dean and rector. Like Luther a century later, Hus was trained in scholastic theology (though he never obtained the doctorate), but he also appealed to the masses and became widely known as a popular religious leader. During the two years of exile between his departure from Prague and his trial at Constance, Hus wrote some 15 books. In these he continued to sound the alarm against church abuses, criticizing the papacy and the practice of indulgences. But his most important work during this period was a Latin treatise De Ecclesia (1413), “On the Church.” Hus insisted that the true church was invisible, the Body of Christ comprised of all the redeemed of all the ages, God’s chosen elect known infallibly only to Him. “The unity of the church,” Hus wrote, “consists in the bond of predestination, since the individual members are united by predestination, and in the goal of blessedness, since all her sons are ultimately united in blessedness.” The “chief abbot” of the church was not the pope but Christ, and it was possible to be in the church (visible) without being of the church (invisible). This idea was not new. Wyclif had said much the same thing, echoing earlier theologians such as Augustine. But in the context of the religious awakening in Bohemia, Hus’s correlation of predestination and ecclesiology ignited a national reform movement with revolutionary implications. Near the end of his life, Wyclif had repudiated the entire papal system and called for its abolition. What Hus called for was not the abolition of the institutional church, nor even the separation of the godly from the impure (as some later Hussites believed), but rather the reform of the church based on the example of Christ and apostolic simplicity. 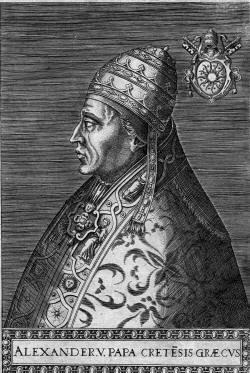 Just the same, Hus’s appeal to the invisible church, as well as his elevation of Scripture as a superior norm for doctrine, proved a solvent to the kind of extravagant papal claims made by Boniface VIII in his famous bull, Unam Sanctam (1302), which made obedience to the pope a condition for salvation. The execution of Hus sent shock waves throughout Bohemia. Nearly 500 Czech nobles gathered in Prague to protest his condemnation and death. They entered into a solemn covenant, pledging to defend the Czech reformation against all external threats. Out of this gathering emerged the Four Articles of Prague (1419), a manifesto that Czech theologian Jan Milič Lochman has called “the Magna Carta of the Czech Reformation.” Lochman sees these four principles as an extension of Hus’s basic theology. The Word of God is to be preached. Like Wyclif, Hus insisted both that the Scriptures be in the language of the people and that they be the normative rule of faith and conduct for all believers. Hus defied his archbishop’s order to cease preaching because he was committed to a prior authority, namely, the expressed law of Christ set forth in the Bible. During his trial at Constance, Hus insisted that he be corrected out of the Scriptures before he would retract his views. This did not mean, of course, that he had no respect for the tradition of the church, but rather that church tradition could not be placed above the written Word of God. In an age when printed books were not available, Hus stressed the importance of viva vox evangelii—”the living voice of the gospel.” For Hus, public preaching of the Word of God was an indispensable means of grace and a sure sign of the true church. The Scriptures must be proclaimed freely, without institutional constraints or political interference. Some later Hussites, especially the Táborites, went even further than Hus in questioning the necessity of a formal preaching office. Táborites thought that all believers, men and women alike, should bear witness to the spirit-anointed Word. This motif was extended by spiritualists and radical reformers in the sixteenth century, some of whom disparaged the external form of the Bible for the “word of faith” and “inner light” within. The sacrament of the body and blood of Christ is to be served in the form of both bread and wine to all faithful. The practice of withholding the cup from the laity during the celebration of the Lord’s Supper was rooted in early medieval traditions. By 1414, some of Hus’s disciples had begun to share the cup as well as the bread with their communicants. When the Council of Constance condemned this practice, Hus lent his considerable support to the serving of the Eucharist sub utraque specie (under both kinds). Eventually, the chalice became the defining symbol of the Czech reformation. By sharing both elements with laity as well as clergy, the Hussites were reintroducing what later became known as the priesthood of all believers. Unlike Wyclif, Hus supported the doctrine of transubstantiation, which to him meant that serving Communion in both kinds was that much more important. When priests withhold the cup from the laity, they actually become “thieves of the blood of Christ,” as the Hussite leader Jacob of Mies put it. The eschatological dimension of the Lord’s Supper was also prominent among the Hussites. They often celebrated the Lord’s Supper under the open skies on mountaintops. As Jesus had ascended into heaven from the Mount of Olives, so he returned in bread and wine to celebrate with his people the coming kingdom of God. Priests are to relinquish earthly position and possessions and all are to begin an obedient life based on the apostolic. All public sins are to be punished and public sinners in all positions are to be. In this last article, we hear a plea for intentional Christianity and a protest against the laxity that is endemic to every established religion. Christians should obey and live by the law of Christ and this requires both personal and corporate discipline. There is an egalitarian thrust in that sinners “in all positions” are to be held equally accountable to the community of faith. This emphasis of the Hussite movement would later be picked up by Calvin and the Reformed tradition with their concern to bring every dimension of human life and culture under the lordship of Jesus Christ. Many scholars see the Czech reform movement as the First Reformation. Luther claimed continuity with Hus in many respects, although there was a theological chasm between the two on the doctrine of justification. Likewise, Hus was not strictly a Wyclifite, although there were important contacts and some influence between England and Bohemia. Clearly, Hus stood in an indigenous tradition of Czech reformers who emphasized preaching, studying the Scriptures, and eliminating clerical abuses. Hus’s rediscovery of the Augustinian doctrine of the invisible church enabled him to criticize contemporary church practices in the light of God’s sovereignty over time and eternity. This article first appeared in Christian History Magazine issue #68. 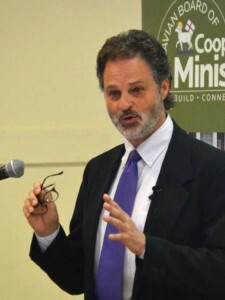 Thanks to the Christian History Institute for allowing us to republish the article here. For more information on how you can subscribe to Christian History Magazine, visit www.christianhistoryinstitute.org/magazine. The cathedral was packed to the doors. A hot heaviness hung in the air. Jacob Balardi Arrigoni, Bishop of Lodi, was preaching from the text, “that the body of sin be destroyed” (Romans 6:6). Cardinals with red hats and bishops wearing miters sat in a semi-circle around a dying man whose chained, emaciated hands were clutched together. 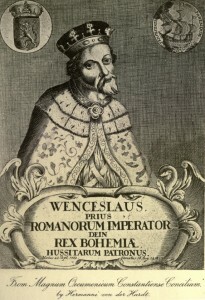 Holy Roman Emperor Sigismund occupied an imperial throne in full regalia. In the nave a variety of priestly garments had been carefully laid out on a table. There were now only two options left open to the man in chains: unqualified submission to the council or condemnation. Recant or die. His parents were peasants—nameless and unknown. His mother taught Jan to pray and, as he grew older, influenced him toward a career as a priest. Another major point of contention was transubstantiation. The Germans and other Roman Catholics strongly supported the doctrine, while many Czechs and other “Wyclifites” argued for remanence—the idea that the bread and wine remain unchanged after consecration. Hus never adopted this radical view, though he was repeatedly accused of it later. The debates about Wyclif were overshadowed by an even bigger church battle, the papal schism (1378- 1417). 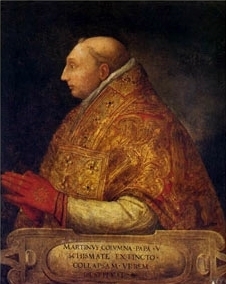 Hus never took a direct role in this conflict, but two men with power over his fate did: King Václav IV of Bohemia and Zbyněk, Archbishop of Prague. Václav’s 41-year reign (1378—1419) spiraled consistently downward. He interfered in ecclesiastical affairs, committed numerous administrative blunders, alienated members of his own family, and was a conspirator to torture and murder. His first wife died after being mauled by his dogs, which he insisted on keeping in his bedchamber. Zbyněk’s job was to eradicate heresy at home, removing any obstacle to Václav’s election as emperor. But Zbyněk resented the king’s changing allegiance, and he refused at first to recognize Alexander V. Furthermore, Wyclifite “heresy” and church corruption were everywhere in Bohemia—and Hus made sure everyone knew it. Lashing out at widespread simony (the practice of buying spiritual office), Hus condemned Prague’s wealthiest clergy—”the Lord’s fat ones,” as he called them—for charging steep fees for administering sacraments and for taking multiple paid positions without faithfully serving any. While claiming apostolic succession, they bore no resemblance to the apostles. Zbyněk played his last card and placed Prague under interdict, suspending all church activities—marrying, burying, blessing, preaching, administering Communion. Though this was a powerful weapon, Václav did not blink. The magistrates supported the king. The fight was over. Zbyněk had no alternative but to relent and declare obedience to the king. 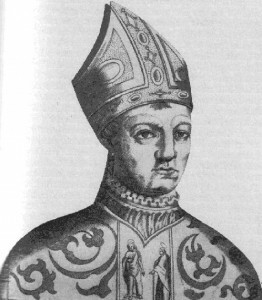 Hus’s friend Jakoubek of Stříbro joined the chorus declaring the pope antichrist. The indulgence controversy turned bloody, and protesters were summarily executed. Hus accepted the invitation. On October 11, 1414, riding on his “strong and high-spirited” horse Rabštýn, he departed for the council. His friends warned him he might be walking into a trap, but Emperor Sigismund, Václav’s half-brother, had promised Hus safe conduct, and Hus believed him. The last session of the Hus case was held July 6. Thirty final charges were presented against the indicted heretic. Some were preposterous—one declared that Hus taught he was the fourth person in the Godhead! Pierre d’Ailly, the presiding cardinal, advised Hus to submit to the council. In a fatherly tone, he gave Hus two options: “Either you throw yourself entirely and totally on the grace and into the hands of the Council… or, if you still wish to hold and defend some articles of the forementioned, and if you desire still another hearing, it shall be granted you.” Then d’Ailly counseled strongly against the latter option. It really did not matter; any hint of mercy was a sham. 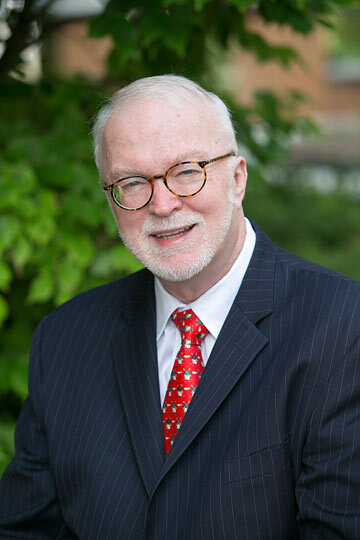 Dr. Thomas A. Fudge is professor at the School of Humanities at the University of New England in Armidale, Australia [BIO]. He is the author of The Magnificent Ride: The First Reformation in Hussite Bohemia, and numerous other scholarly books about Hus and the First Reformation. Photo by Andrew David Cox; courtesy of Moravian Board of Cooperative Ministries.